Ryan James Miller, age 39, of Grayslake passed away Monday, June 26, 2017 in Waukegan. He was born August 24, 1977 in Chicago and adopted by James J. and Margaret E. (nee Winstanley) Miller. Ryan is survived by his parents; sister, Jenifer Miller; aunts and uncles, Beryl (Ron) Ward, Tony Winstanley, Geoff (Cheryl) Winstanley, Graham Winstanley, David Miller; many cousins, extended family and friends. He was preceded in death by his paternal grandparents, Jim and Ludina Miller; maternal grandparents, Frederick and Jessie Winstanley; and aunt, Gwen Winstanley. Friends of the family may visit from 5:00 p.m. until 7:00 p.m. on Friday, June 30, 2017 at Strang Funeral Chapel & Crematorium, 410 East Belvidere Road, Grayslake, IL 60030 with a funeral service scheduled for 7:00 p.m. immediately following the visitation. Memorials donations may be made to Gateway Centers, 25480 West Cedar Crest Lane, Lake Villa, IL 60046. For information, please call 847-223-8122 or visit www.strangfuneral.org. 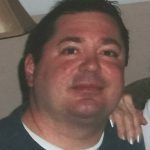 Michael Patrick Andre, age 50, a resident of Lake Bluff, passed away Sunday, June 25, 2017, at his sister’s residence in Ringwood, surrounded by his family. He was born January 11, 1967 in DeKalb to Douglas and Roberta (nee Majewski) Andre. Michael was a major sports fan and he loved Sammy Hagar. He was a happy, gregarious, caring man who loved family and friends and he welcomed anyone into his home. Michael is survived by his mother, Roberta Kay Andre and his sister, Jenny (Brad) Potts of Ringwood. He was preceded in death by his dad, Douglas. Friends of the family may visit on Saturday, July 1, 2017 from 11:00 a.m. to 3:00 p.m. at Strang Funeral & Crematorium, 410 East Belvidere Road, Grayslake, IL 60030 with the funeral service at 3:00 p.m. also at the funeral chapel. In lieu of flowers, memorials donations may be made to Yellow Brick Road Rescue and Sanctuary, 5300 South 108th Street, #15-144, Hales Corners, WI 53130 or www.yellowbrickroadrescue.com. For more information please contact (847)223-8122 or log onto www.strangfuneral.org. Wayne N. Struck, age 73, a resident of Round Lake Beach, passed away Wednesday, June 21, 2017 at Northwest Community Hospital in Arlington Heights. He was born on May 11, 1944 in Chicago to Edward and Lucille (nee Sobacki) Struck. Wayne was a long time member of St. Paul’s, an avid Cubs fan who enjoyed going on car rides. He loved to cook, enjoyed going to the Lakewood Forest Preserve to watch for deer, but most of all he loved his family. He is survived by his daughter, Deborah, of Round Lake Beach and one brother, James (Katie) of Florida. Wayne was preceded in death by his parents; his wife of 27 years, Marcia-Lee; and two brothers, Donald and William. Friends of the family may visit from 9:00 a.m. until the time of the funeral service at 11:00 a.m. on Saturday, June 24, 2017 at St. Paul Lutheran Church, 420 Greenwood Drive in Round Lake, IL 60073, followed by interment at Windridge Cemetery, 7014 South Rawson Bridge Road, Cary, IL 60013. Arrangements were entrusted to Strang Funeral Chapel & Crematorium, 410 East Belvidere Road, Grayslake, IL 60030. For more information, please call (847) 223-8122 or log onto www.strangfuneral.org. Bob Dravecky, age 72, a resident of Grayslake, passed away Tuesday, June 20, 2017 at Advocate Condell Medical Center in Libertyville. He was born October 14, 1944 in Irvington, NJ to Edward and Margaret (nee Sheridan) Dravecky. Bob worked for 30 years in Human Resources and Labor Law for Union Carbide and Praxair Industrial Gases. In his spare time, he loved model trains and watching his grandson, Spencer, play sports. Bob was so very full of love and light, sarcasm and kindness, wisdom and silliness. Please join us in the celebration of his well-lived and loved life. Bob is survived by his wife, Charlene, whom he married 46 years ago on June 5, 1972 in Richland, WA; his daughter, Amanda (Ben) Kulczewski of Evanston; his grandson, Spencer Kulczewski of Evanson; and his brother Edward (Eve) of Huntsville, AL. He was preceded in death by his parents and his nephew, Ed Dravecky III. Friends of the family may visit from 3:00 p.m. until 7:00 p.m. on Sunday, June 25, 2017 at Strang Funeral Chapel & Crematorium, 410 E. Belvidere Road, Grayslake, IL 60030. A funeral mass is scheduled for Monday, June 26, 2017 at 11:00 a.m. at St. Gilbert Catholic Church, 301 E. Belvidere Road in Grayslake. In lieu of flowers, donations in Bob’s name to Evanston Junior WildKit Football (Family Focus Community Center, 2010 Dewey Ave., Evanston, IL 60201) or www.jrwildkits.com would be sincerely appreciated by the family. For more information please contact (847)223-8122 or log onto www.strangfuneral.org. 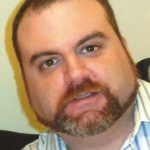 Edward Putwen, 40, a resident of McHenry, IL, passed away June 14, 2017. He was born September 11, 1976 in Chicago, IL to Edward and Corinne Putwen. Edward is survived by his wife April (nee: Schultz) , his children, and many other family members. A memorial visitation and service is scheduled for Thursday, June 22, 2017 from 4:00pm until 7:00pm with the service commencing at 7:00pm at The Orchard Church 768 Ridgeview Dr. McHenry, IL 60050 (815)385-3410. In lieu of flowers, memorials may be made to the family. Sandra Jo Collier, age 72, a resident of Ingleside, passed away Thursday, June 15, 2017 at Centegra Northern Illinois Medical Center in McHenry. She was born May 25, 1945 in Jackson, MI to Merle G. and Betty P. (Rose) Harvey. She is survived by her husband, William; two sons, Richard H. (Jody) Collier of Fox Lake and William W. (Victoria) Collier of Waukegan; and four grandchildren. Friends of the family may visit from 5:00 p.m. until 6:00 p.m. on Sunday, June 18, 2017 at Strang Funeral Chapel & Crematorium, 410 East Belvidere Road, Grayslake, IL 60030. A funeral service is schedule for 6:00 p.m., immediately following the visitation, also at the funeral chapel. Memorial donations in her name may be made to St. Jude Children’s Research Hospital, 501 St. Jude Place, Memphis, TN 38105. For further information, please call (847) 223-8122 or visit www.strangfuneral.org. George A. Slosser Jr., 90, a resident of Grayslake, passed away Wednesday, June 14, 2017 at Victory Lakes in Lindenhurst, IL. He was born October 29, 1926 in Milwaukee, WI to Esther and George Slosser Sr. George was past commander of American Legion in Round Lake Post 1170 and was a veteran of World War II having served in the US Navy. He was a member of St. Paul Lutheran Church in Round Lake Park. George loved to bowl and enjoyed fishing. George is survived by his wife of 68 years, Betty, and his sons Jack (Leslie) Slosser and Richard (Audrey) Slosser. He was preceded in death by his parents, his 2 brothers, and 1 sister. A visitation and service is scheduled for Sunday, June 18, 2017 from 1:00pm until 2:00pm with a service commencing at 2:00pm at Strang Funeral Chapel & Crematorium 410 E. Belvidere Rd. Grayslake, IL 60030. For more information please contact (847)223-8122 or log onto www.strangfuneral.org. 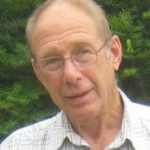 Terry Lee Rockenbach, 74, passed away on June 13, 2017, at home following a long struggle with prostate cancer. He leaves behind his wife of 30 years, Marge Rockenbach, his son Russell (Lisa) Rockenbach, his daughter Paige Rockenbach, his stepson Todd (Donna) Wellens, his stepson Timm Wellens, his grandchildren Kaitlyn Wellens, Brandon Rockenbach, Zach Wellens, Rebecca Rockenbach, Jessica Rockenbach, and Samantha Rockenbach, his sister Pam (Chuck) Relitz and his brother Dennis (Jeanne) Rockenbach. He also has many nieces and cousins. He was preceded in death by his parents Ray and Virginia Rockenbach and his granddaughter Amanda Rockenbach. Terry was raised in Grayslake. He enjoyed athletics in high school. After high school, he became a licensed plumber. He opened Rock Plumbing in 1969 and serviced the Lake County area until he sold the business in 2004. He then became a plumbing inspector serving several Lake County municipalities until 2016. Terry was a charter member of Faith Church of Grayslake. He was active in the Northern Illinois Chapter of Associated Builders and Contractors where he was a 2 term president. He was also a 38 year member of Grayslake Lions Club. He was an active participant holding many positions including several terms as president and grill master for the annual steer roast. His happiest times were fishing in Canada, spending time with his grandchildren, and enjoying the beauty of northern Wisconsin. A visitation is scheduled for Friday, June 16, 2017 from 4:00pm until 8:00pm at Strang Funeral Chapel & Crematorium 410 E. Belvidere Rd. Grayslake, IL 60030. The funeral service is scheduled for Saturday, June 17, 2017 at 10:00am at Lakeland Church 440 N. Hunt Club Rd. Gurnee, IL 60031. Interment will follow the services at Avon Centre Cemetery in Grayslake, IL. In lieu of flowers, please make donations to the Grayslake Lions Club. For more information please contact (847)223-8122 or log onto www.strangfuneral.org. Mary (nee: Lesniak) Urbaniak, 89, passed away Monday, June 12, 2017 in Lincolnshire, IL. She was born February 20, 1928 in Poland to Anthoni and Julianna Lesniak. Mary was a member of the Kingdom Hall of Jehovah Witnesses in Libertyville, IL. Mary is survived by her daughters Wesley (Edward) Jonko, Elizabeth (John) Macanowicz, and Teresa (George) Bracikowski, and her grandchildren Timothy (Rachel) Jonko, Daniel (Casey) Jonko, Darek Macanowicz, and Andre (Brittany) Bracikowski. She was preceded in death by her parents and her husband Stanley Urbaniak, whom she wed on September 12, 1948. The memorial service will be celebrated on Saturday, June 24, 2017 at 12:30PM at Kingdom Hall Jehovah’s Witnesses in Libertyville, IL. All funeral arrangements were entrusted to Strang Funeral Chapel & Crematorium 410 E. Belvidere Rd. Grayslake, IL 60030. For more information please contact (847)223-8122 or log onto www.strangfuneral.org. Mary Wegge died peacefully in her sleep on June 9th, 2017 at home, the home she loved. Mary was born at Lake Forest Hospital on August 1, 1928 and lived her single life in Highwood, IL. She met and married Robert Wegge in 1955. Their life continued in Highwood until 1964 when the family moved to Grayslake, IL and remains today. Mary helped found and establish the accounting firm of Robert K Wegge now known as ATC Wegge, LTD. Of Grayslake Mary worked side by side with her husband of 61 years. June 18, 2017 would have marked their 62nd wedding anniversary. Mary leaves behind her husband Robert, children Linda (Robert Slipke), Kurt (Sandy Carlson) and Mark (Victoria Smock). Also surviving are 5 grandchildren Bryan Slipke, Sean, Sarah, Michelle and Dana Wegge. Mary was preceeded in death by her parents Angelo and Lucia Ori and a brother Domenico Ori. Mary was an active member of the Grayslake Exchangettes, Italian Women’s Prosperity Club and many other organizations that her husband volunteered in. She was faithfully at Robert’s side always. She was a member of St Gilbert Catholic Church in Grayslake. Mary fought a brave 14 year battle with Alzheimer’s. Our caregivers and hospice are truly angels on earth. Our family cannot thank them enough. A visitation is scheduled for Tuesday, June 13, 2017 from 4PM until 8PM. The funeral mass will be celebrated on Wednesday, June 14, 2017 at 10AM at St Gilbert Catholic Church, 301 E. Belvidere Road, Grayslake, IL 60030. Memorials may be made to Cognitive Neurology & Alzheimers Disease Center 320 E. Superior- Searle #11 Chicago, Il 60611 (312)908-9339. For information, please contact Strang Funeral Chapel & Crematorium 410 E. Belvidere Rd. Grayslake, IL 60030. You may also call (847)223-8122 or log onto www.strangfuneral.org.